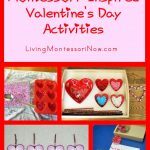 In Montessori education, practical life (daily living) activities are some of the most important activities. 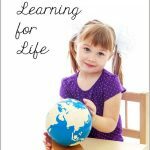 Not only do they help children develop order, concentration, coordination, and independence, but they help children learn to contribute to their families and communities. 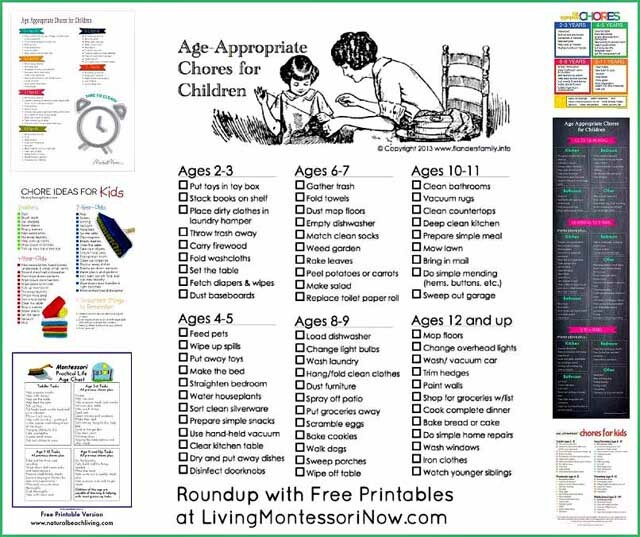 Today, I’ll be sharing some age-appropriate chores in lists and free printables from around the blogosphere. 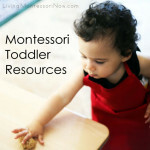 Older babies and young toddlers can start learning care-of-the-environment activities. 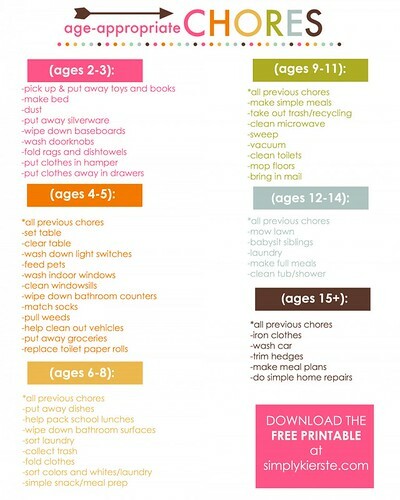 Cleaning activities are fun at that age and the perfect time for children to start contributing to the family chores, even if the result is much less than perfect. 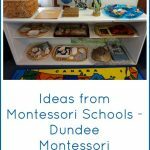 In Montessori, we don’t recommend using rewards or punishments. 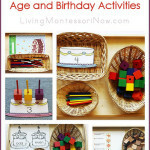 (Read “A Montessori Approach to Praise” for more information.) 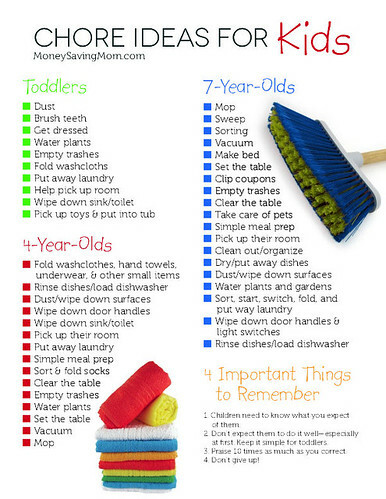 If you demonstrate how to do chores and make them a regular part of your child’s life from an early age, ideally your child will do chores as a natural part of contributing to the family. My now-adult children did, and it was wonderful. 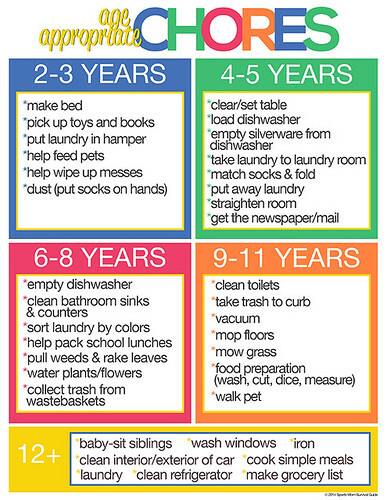 Here are some great ideas for age-appropriate chores. 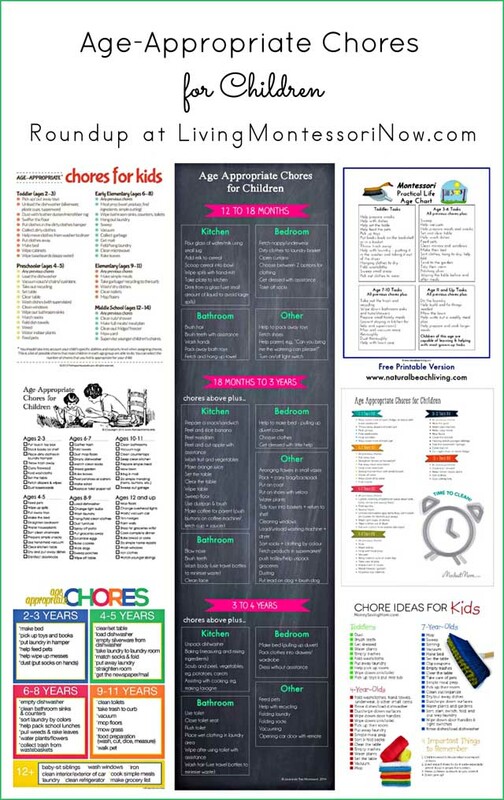 Each link has a free printable download available. 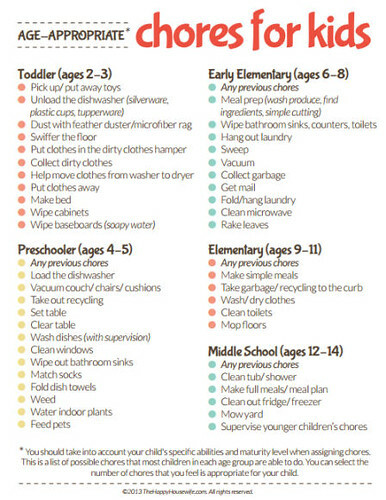 You’ll notice there are definitely some variations among chore lists. 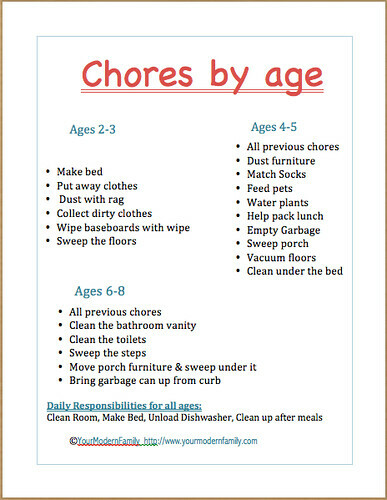 As in everything, it’s most important that you find the chores that are age appropriate for your unique children. 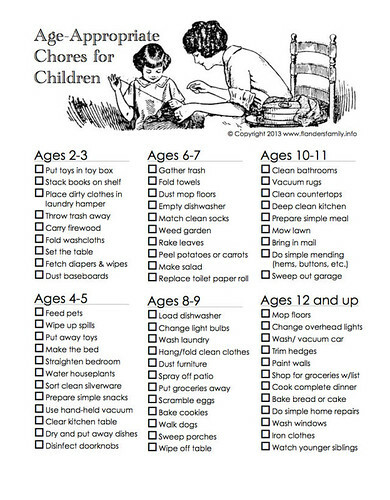 And, of course, your children aren’t expected to do every chore on a list. Just find what works for your family. 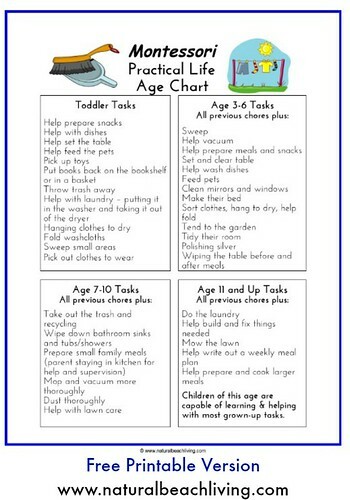 Age-Appropriate Chores for Children (the chore chart that’s been all over Facebook and Pinterest) from The Flanders Family Website. This free printable is available in English, Spanish, and Italian. 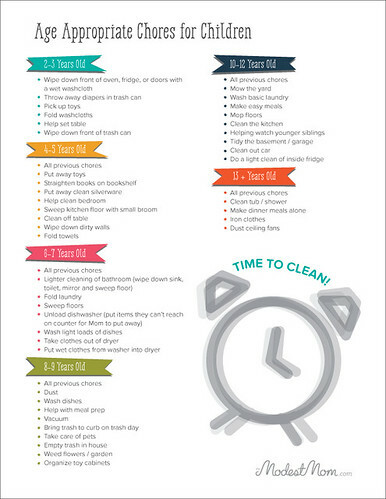 Thanks for sharing – we already incorporate many of these chores, but I see a few more we can add to the rotation! Great round up. So fun to see my infographic included. Thanks! It is interesting the variation in what children can do. 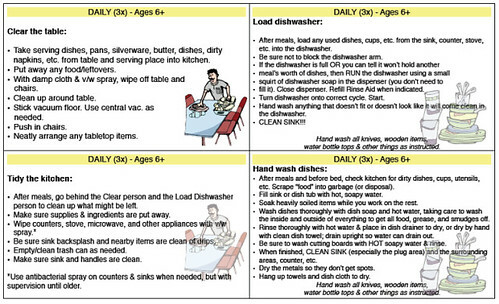 I could see a task on one chart at age 5 and on another chart not until age 7. And as I was reading them, I was thinking, yes my girls can do that or no, they don’t seem to be able to do it.